Have you guys been watching SWV’s Reunited reality show? Well, see the ladies, Taj, Lelee and Coko are still on this kick for a comeback. I love the show, because as a younger me, I loved the music, but didn’t really get into their personalities. The show is funny, entertaining and I’m drawn into reliving the music and learning more about the girls. Lead singer Coko has been on the show struggling with wanting to do an SWV comeback but also wanting to do her! I mean, utilizing the SWV brand and reality show is very smart on her part to push her solo career. 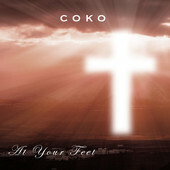 Hence, Coko has released her next single “At Your Feet” hopefully from her forthcoming next album. I wish I could say that I don’t like this song, because it would make it easier to lead right into how Coko is playing around with her commitments to SWV, and how she is coming off as a pre-madonna and total diva (the ones we don’t like) and really just doing the most….but I like the song! Now I’m all for another solo shot from Coko (her previous albums Hot Coko, Grateful, Always Coko and The Winner In Me, A Coko Christmas) but she just seems to be messy with how she wants to put out this next project. Like does she really care about an SWV comeback or is all of this really just to push her solo career?! Anyhoo, check out “At Your Feet” below and purchase it on iTunes. What do y’all think?